Basir Kazmi launched his bilingual book of poetry, ‘Passing Through’ – Hum Waha bhi Rahain. This Launch was part of the British Diasporic Literature in English and Vernaculars Conference, held at Manchester Central Library. Born in Pakistan in 1953, Basir Sultan Kazmi is a poet in the ghazal tradition of his illustrious father, the late Nasir Kazmi. Basir taught English at the Government College Lahore where he also edited the literary magazine, Ravi. He undertook two Masters Degrees at Manchester University and was the news editor and reader for the BBC’s Asian Programme1990-91. Basir has read widely in Britain, Pakistan, India, Middle East, Europe and USA. His Urdu poetry collections include, Mauj-e-Khayaal (1997, Maktaba-e-Khayal) and Chaman Koi Bhi Ho (2008, Classic), a play, Bisaat (1987, Maktaba-e-Khayal) and Bisaat’s translation, The Chess Board (1997, Penine Pens). English translations of Basir’s poems have appeared in several magazines and anthologies. Basir has also written extensively on the life and poetry of his father. In 1992, Basir won a North West Playwrights Workshops Award. His plays have appeared at such venues as Greater Manchester’s Contact Theatre, Green Room, Octagon Bolton and Oldham Colesium and Liverpool’s Unity Theatre. His poem, ‘Taking Time’, selected by the Poems for the Waiting Room project (2001), was displayed in UK hospitals and clinics. One of his couplets, with English translation (The true-hearted can settle – no matter which land. A flower wants to bloom, wherever its garden), was carved in stone and installed at McKenzie Square Slough, UK in 2008. Basir was awarded an MBE in the Queen’s Honours List 2013 for Services to Literature as a Poet. We are a National Portfolio Organisation, receiving funding from Arts Council England. We are part of the UK’s vibrant cultural sector. The cultural sector bring communities together and make lives richer. It also creates economic growth and jobs: it is one of the fastest growing sectors of the economy. 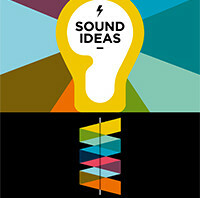 Click here to find out more about the great contribution the arts make to the national economy. Our most successful novel in recent years is now available on Kindle. Couple of clips from the launch of Chanje Kunda’s debut collection, Amsterdam. RUN BY ARTISTS AND INDUSTRY PROFESSIONALS, EACH 2-HOUR WORKSHOP WILL GIVE YOU THE OPPORTUNITY TO WRITE AND PERFORM ORIGINAL MUSIC, LEARN TO PLAY A VARIETY OF INSTRUMENTS AND USE THE LATEST MUSIC PRODUCTION SOFTWARE AND SOUND EQUIPMENT. THE PROJECT CONCLUDES WITH A LIVE PERFORMANCE AT A CITY CENTRE VENUE TO SHOWCASE YOUR NEWFOUND SKILLS AND TALENTS. 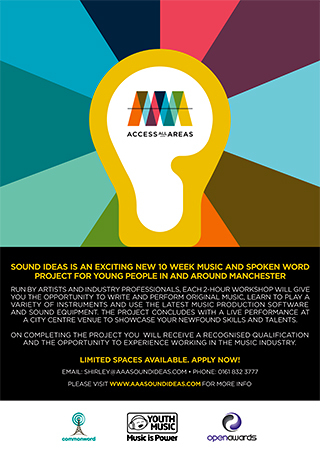 ON COMPLETING THE PROJECT YOU WILL RECEIVE A RECOGNISED QUALIFICATION AND THE OPPORTUNITY TO EXPERIENCE WORKING IN THE MUSIC INDUSTRY.